I related yesterday that I was going to jar up the remaining half tin of the 39 y/o Mac Baren Dark Twist Roll Cake so I could revisit it when it was 40 y/o. As luck would have it I was asked how it compared to the version one can purchase today. I was bluntly honest stating it had been far too long from when I smoked any fresh of this tobacco I would be lying trying to make an honest assessment. I received my Les Wood/Parks bark Premier ** Bulldog with diamond shank with silver band and silver capped bowl in yesterdays mail. In the package the seller sent several bags of different tobaccos he thought id enjoy and among them was the current version of Mac Barens Dark Twist Roll Cake. Now having some fresh I promised to assess the two smoking them in one of my Morta pipes. For the testing I chose the canted Pot Morta with horn stem by Carsten Ringling. I took 4 coins and rolled them like a fat cigar, this allows for a small space in the bottom of the bowl and a good tight fit on the sides of the bowl making tamping evenly a breeze. I took 1/2 a coin and rubbed it out for topping, char lit it, tamped it and relit it. Immediately one can tell this is green tobacco compared to the 39 y/o but that doesn't make it bad, just different. On the palate the Virginia is very present with more zing than the older stuff that if puffed with abandon would most certainly bite, but I chose Morta for that very reason since it likes to be smoked slowly. The perky spice was well received on the snork but the Virginia is still lingering on the palate. 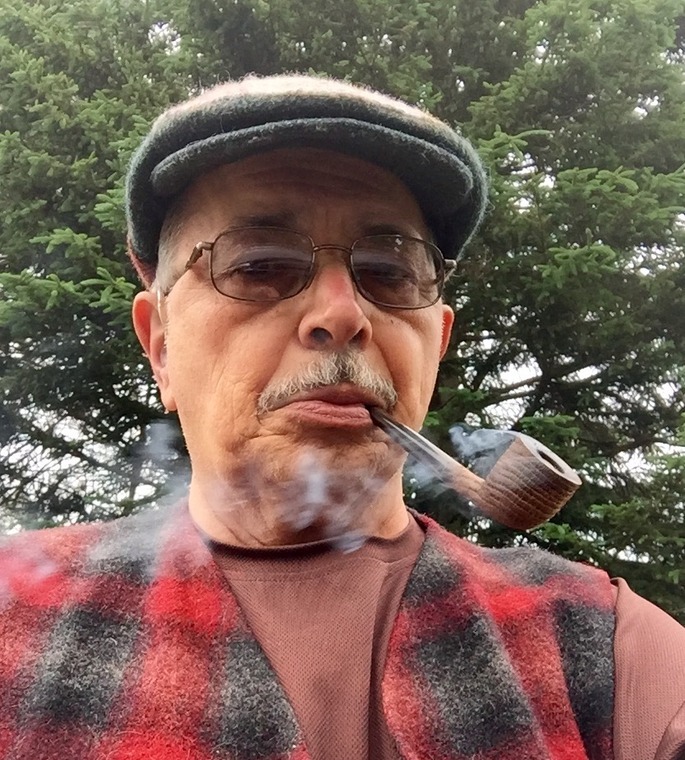 Certainly a delight to smoke and good quality tobacco which I would have no problem purchasing to smoke and most definitely cellar, stay tuned for the 39 y/o report later today in the same pipe, keep it smokey! If you like Dark Twist you should try Roll Cake too. A little lighter, but still has that tang and spice. Good review, Banjo! As you can tell we've lost the sun but it's still a fine day. I let 1 1/2 hours pass w/o having another pipe just several cups of dark Cuban coffee to cleanse the palate. y/o Mac Baren Dark Twist Roll Cake to give my impression on how it fares to current production. First impression is a warm, almost jam sweetness, not overly sweet nearly like a fresh ripe fig which I love. The snork picks up a subdued spiciness which has depth and no sharpness. Rather than the Virginia being up front it is more rearward on the palate with a richness and depth. Although this is the same tobacco and both smoke very well I'm going to say with no apologies I prefer the well aged one in spades. 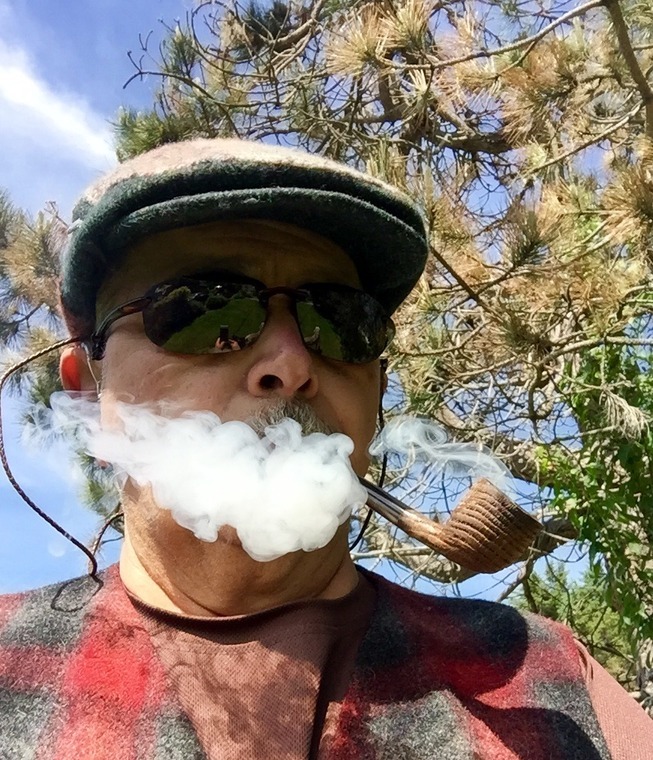 I've said it elsewhere that if someone were to offer me 50 lbs of the tobacco of my choice I'd ask for Mac Baren Dark Twist Roll Cake with at least 30 years of aging under its belt. My opinion is try this tobacco, if what I stated in the two reviews sounds like something you'd enjoy smoking buy it but be sure to get enough tins to mark them do not open until 2011, 2016, 2021, 2026 and 2031 this will allow you to see how it changes as it ages in 5 year intervals, cheers and as always keep it smokey. Interesting. The only 'baccy I've ever trashed was Roll Cake back around '01. But it refused to dry out even a little, after letting the tin sit open for several weeks! It was literally so moist and syrupy one could use it for glue! So has MacB upped their game since then, as I haven't been so bold as to follow up with Roll Cake? And yes I see that MacB offers the Dark Twist Roll Cake, which is different than the standard RC. Not had that. Yet based on my singular negative experience with Roll Cake, I'm hesitant to go back in for either. And..........I see that both are now ambitiously priced at ~$21/100 grams (approx 3.5 oz). Not on my radar. Perhaps not fair, based on your experience banjo. But as they say, once bitten twice shy! I can sympathize with that kind of experience and would state I'd probably do the same as you. The bag I received contained 30 or so rolls so I don't know if they were from a tin or bulk. Looking around I found that $20.81 price plus shipping a bit difficult to want to jump on a sleeve to do as I suggested. I did happen to find it in bulk and 1 lb was a shade over $50 with free shipping on orders over $49 at Cigars International so my plan is to jar it in 4 oz jars hoping I'll be here at 86 to enjoy the 20 y/o jar keep it smokey. I enjoy Dark Twist Roll Cake quite a bit. I do agree that it ages quite well. Sweet and spicy are the primary notes that I pick up on. At first the rather sassy spiciness of the dark fired KY cavendish really threw me for a loop and the first few times I tried it, I interpreted its character as tongue bite. However after every smoke, I had none of the long term effects of actual tongue bite. It was at that point that I knew I had a favorite, as I love spicy tobaccos and I love the flavor of Dark Twist Roll Cake. Stockton is quite good as well. I just love the MacB Dark Twist Roll Cake and it's my daily go to tobacco. Nice and strong and full of flavour. I'm fan of DTRC, as well. I've not been lucky enough to try something with quite that much age on it, but I've found that if you can just get as far as the 5-year mark it can make some pretty big improvements (not that I specifically dislike it fresh, but age is definitely our friend with this stuff). Well then, I'll just have to check it out at some point despite my prior experiences.